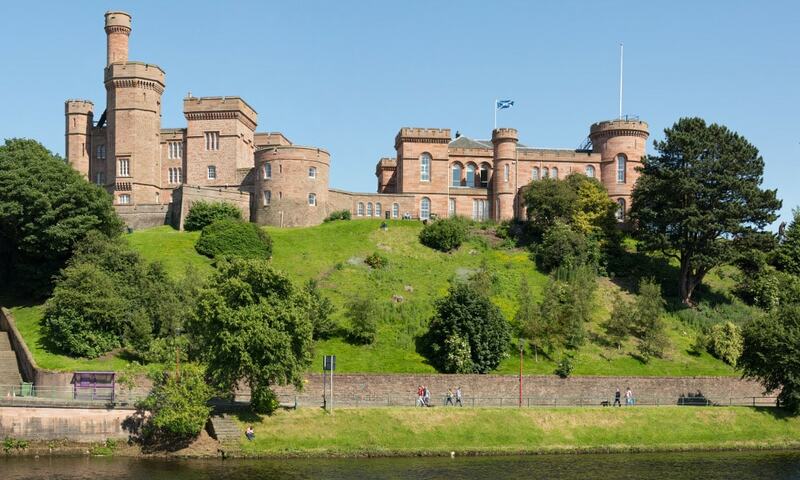 Inverness Castle sits on a cliff overlooking the River Ness, in Inverness, Scotland. The red sandstone structure evident today was built on the site of an 11th-century defensive structure. Today, it houses Inverness Sheriff Court. At present, only the castle grounds are open to the public.